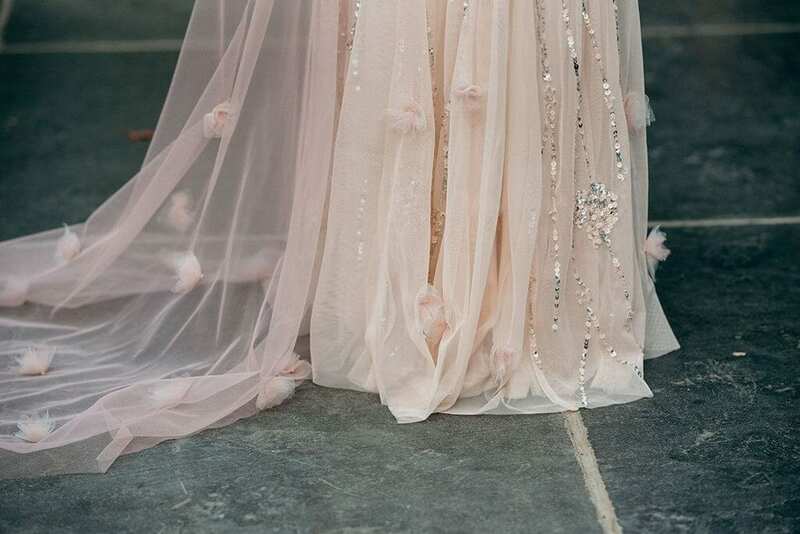 It’s that time of year when the 2018 wedding trend predictions are in full swing, and we are loving what is being talked about. 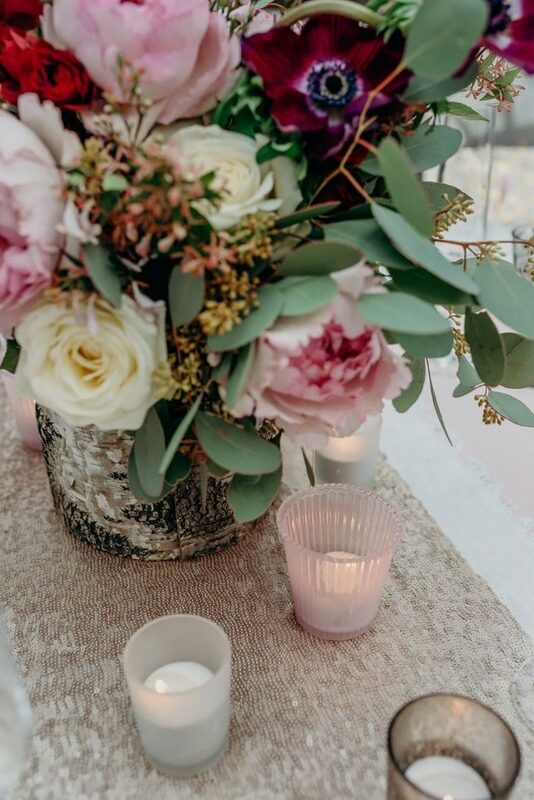 I’m particularly loving the recent trend report from Coco weddings (which you can find here). Emma talks about the changes we can expect from drinks, flowers, and even a bit of influence from the land down under… But my fave is the pink influence gradually seeping back in. And we’re not just talking blush pinks here, there is a whole new pink known as ‘millennial pink’… What’s that? Well, that’s the tricky part. It’s sort of a grapefruit shade of apricotty salmon… Yum!(?) Millennial pink is not actually one specific colour, it’s a range of colours that fall in the pink category… Some suggest this millennial pink trend started with the first ‘rose gold’ iPhone, which – let’s face it – is hardly rose gold. But, wherever it came from it looks like it’s here to stay for 2018! 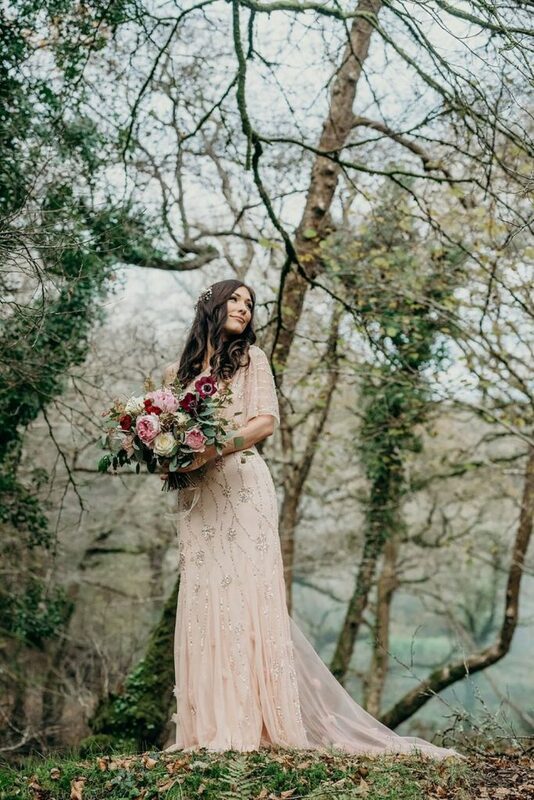 so, what do our brides think? 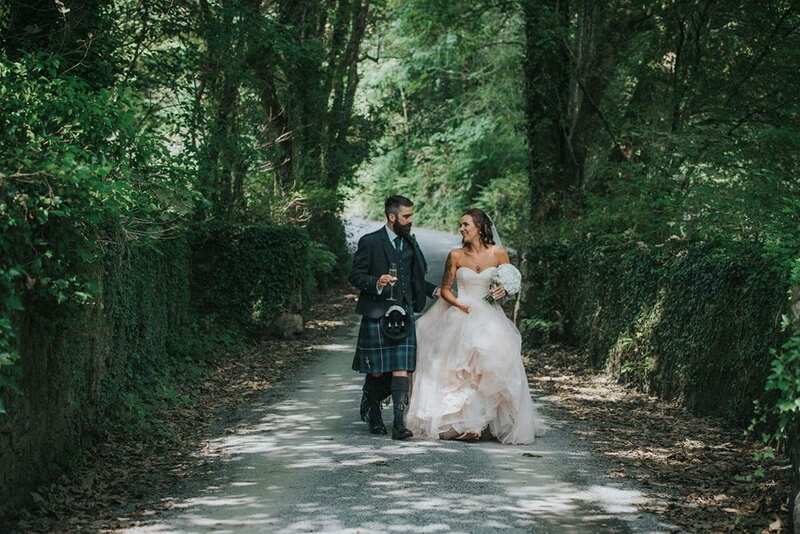 Here, stunning bride Emily showcases her magnificent pink wedding dress with a soft tulle train, finished off by her pink shrug which just looks so cosy I’m kind of tempted to fall asleep in it… And the best part? 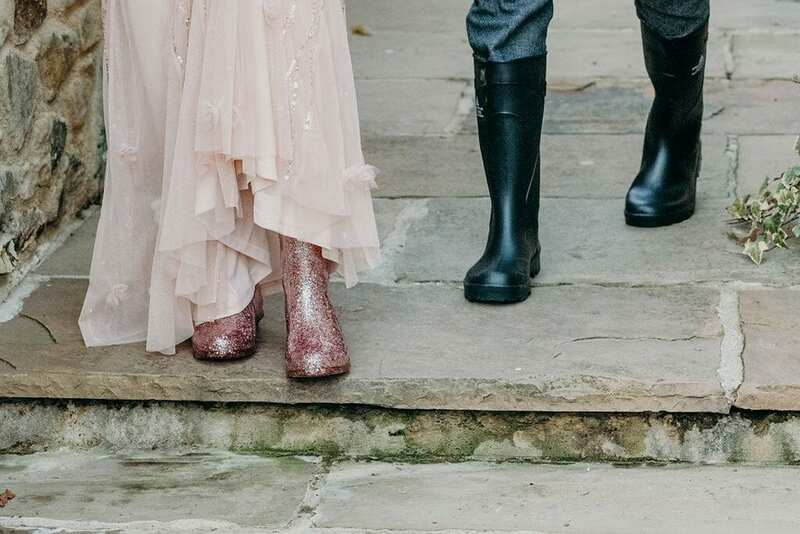 Well, her sparkly pink wellie-boots of course! 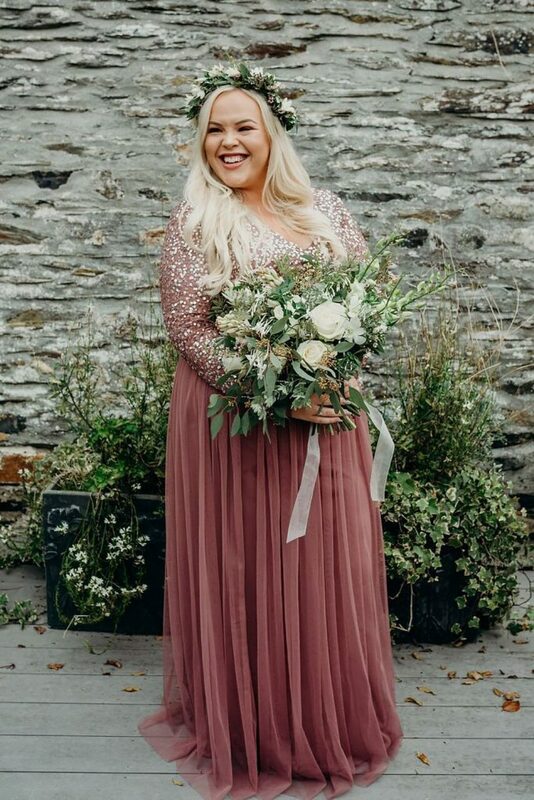 Super-glamourous bride, Georgia, picked a darker shade for her wedding dress, by my-oh-my isn’t is fabulous! 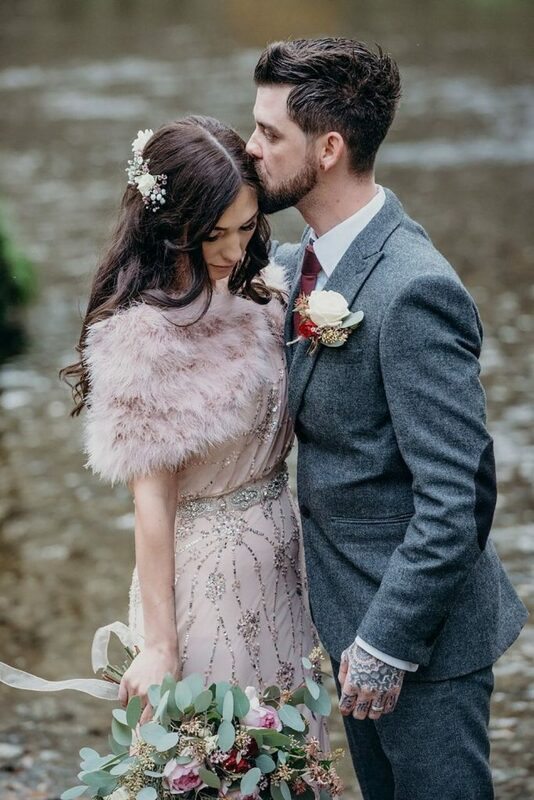 These brides absolutely nailed the pink vibes! 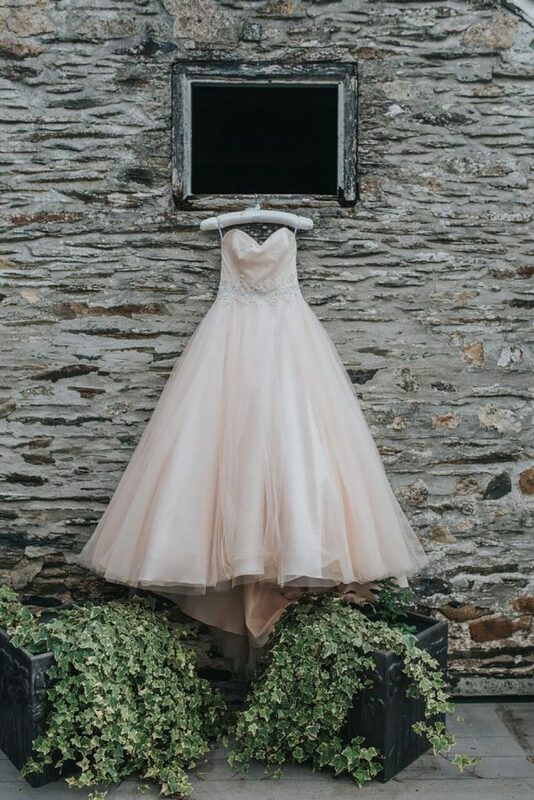 Back in 2016, one of our summer brides, Lauren, showcased her stunning blush pink dress. Could she take credit for the millennial pink trend? I think so! So, millennial pink… what are we thinking? Leave a comment below or send us a message on facebook with your thoughts on this upcoming trend. And maybe you have some 2018 wedding trend predictions of your own? Next PostWhat's included with our wedding marquee?